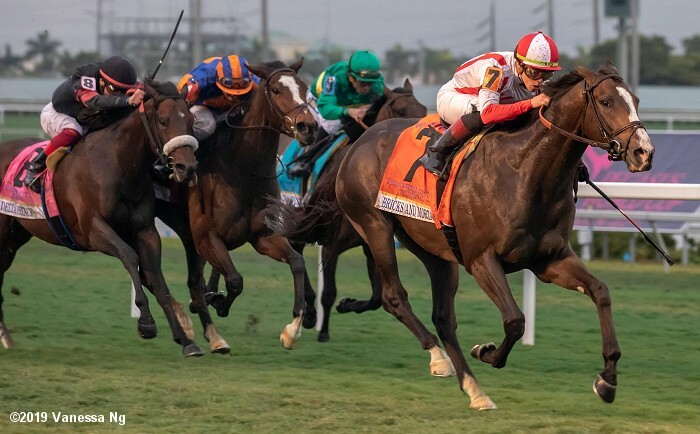 One thing about the PEGASUS WORLD CUP SERIES created by Frank Stronach and daughter Belinda, it is becoming a glitzy and glamorous event in the swanky town of Miami. 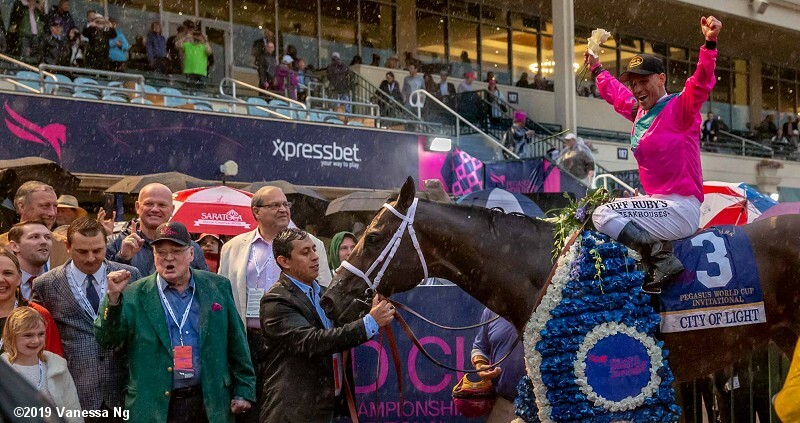 High energy visitors combined with plenty of entertainment and food ensured a buzzed crowd at Gulfstream Park on Saturday despite dreary weather. Getting the sport and big event days into the mainstream media and on social network platforms is the key for the Pegasus and there are indications that it is heading in the right direction. On-track handle for the 12 races was $4.123 million, flat with last year’s on-track handle of $4.131. Total handle, despite the conditions was $37.786 million, down 10 per cent from 2018. The card of racing and the quality of horses has been top notch which allows the traditionalists to revel in a super day of racing whether they are on-track, at a telethreatre or at home. CITY OF LIGHTS‘ dominant victory was expected by many since the colt’s speed figured to be rewarded in the slop. ACCELERATE ran a brave race to finish 3rd and both are now off to stud. Canadian owned SEEKING THE SOUL ran a super race for owner Charles Fipke to charge from far back to be second. 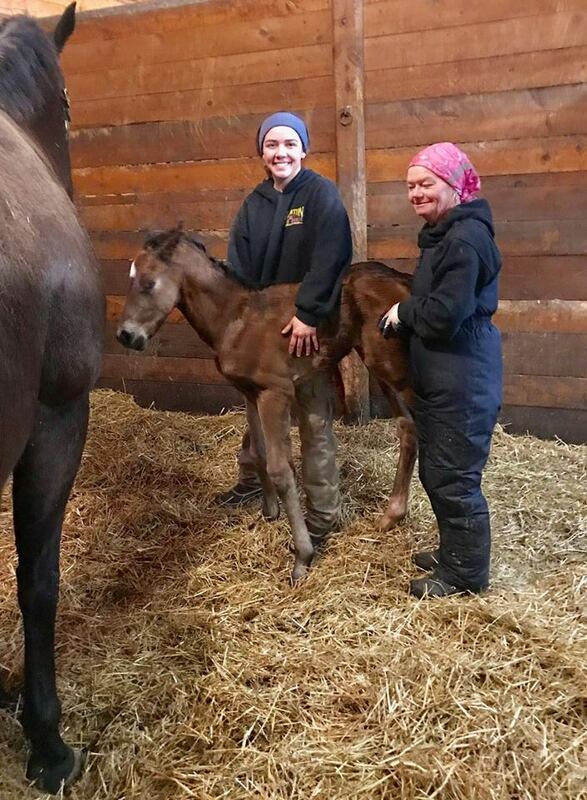 The Stronach family has put up plenty of time and money into making this race, and also its Preakness Stakes at Pimlico, into mainstream events. 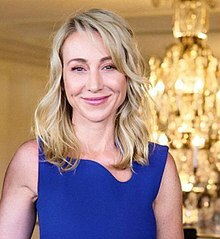 Belinda Stronach’s daughter, Nicole Walker, an accomplished show jumper, is also now on board as managing events for the Stronach Group (see story below). 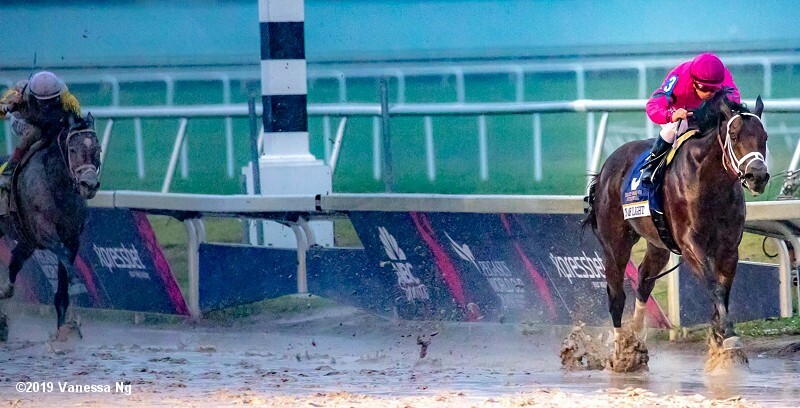 Meanwhile, wagering on horse racing will be explosive this week with two tracks having big carryovers in Pick 6 wagers with mandatory payouts on the wager coming this weekend. Both Gulfstream and Santa Anita (also a Stronach track) are carrying over big amounts for the Pick 6 and as long as one single winning ticket is not hit, fans will have a chance to share in large pots on the weekend. Rainbow Six mania is about to overtake Santa Anita, as The Great Race Place steams toward the popular 20 cent Single Ticket Jackpot wager this coming Saturday, Feb. 2. With a crush of $450,982 in “new” money over the weekend, Sunday’s total live money Rainbow Pick Six Jackpot pool reached $1,817,578. And, with Santa Anita guaranteeing another $2 million Jackpot on both Thursday and Friday, it seems certain there will be a $2 million live money pool on Saturday, which track officials project could balloon to a total mandatory payout pool of more than $20 million. With six consolation winning tickets on Friday each worth $19,448.60, there were 36 consolation winners Saturday, each returning $5,226. While there were once again no single ticket winners on Sunday, 75 consolation tickets with six winners each paid $3,199.90, resulting in an average daily consolation payout through 20 racing days of $7,893.20. First post time for an eight-race card on Thursday is at 12:30 p.m. Approximate post time for Thursday’s third race, the beginning of the Rainbow Six, is at 1:30 p.m. PT. 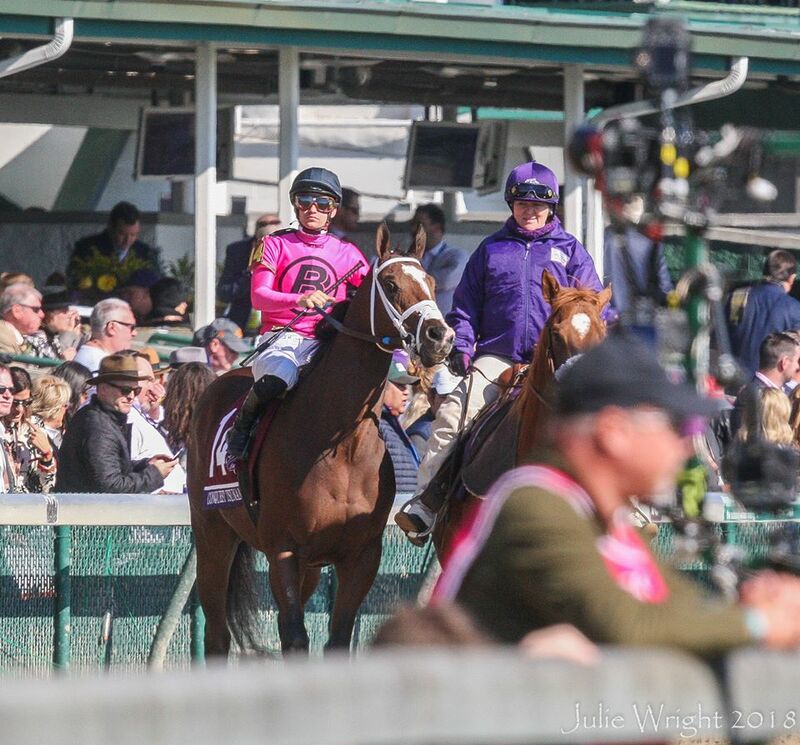 America’s Best Racing noted its Top Tweets from Pegasus day. 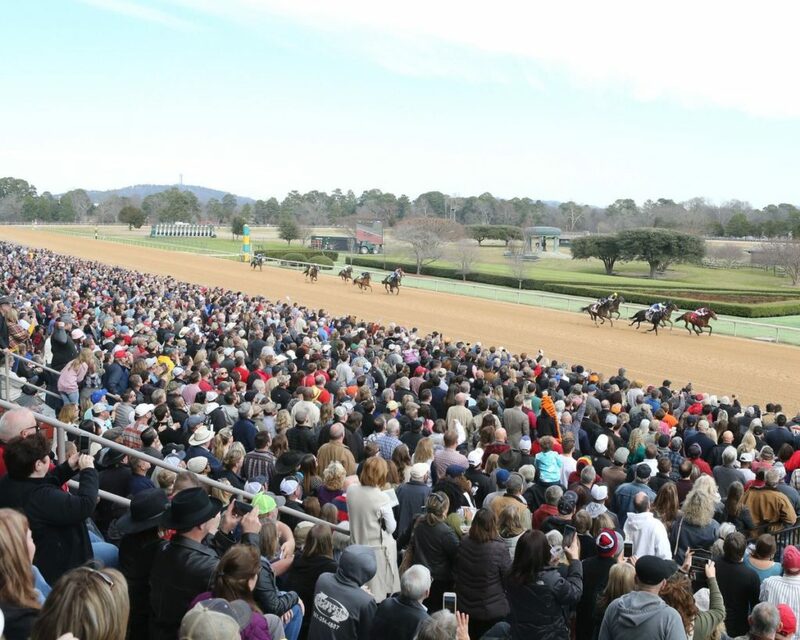 The first three days of the 57-day Oaklawn Park meeting in Hot Springs Arkansas lured 48,00 fans to the track over those days. Canada’s leading trainer NORM MCKNIGHT won a race on each day including a starter allowance with 2017 Prince of Wales Stakes winner Cool Catomine. In a completely dominant performance, owner Gary Barber’s Ontario-bred Conquest Tsunami made every pole a winning one as he cruised to a 4 ¼ length victory in Sunday’s $70,000 Clockers’ Corner Stakes under Drayden Van Dyke. Trained by Peter Miller, the 7-year-old Stormy Atlantic gelding got 6 ½ furlongs down the hillside turf course in 1:11.02, which is just a quarter second off of the track record of 1:10.73. “My first time on him,” said Van Dyke. “Pete said to try and make the lead. I watched film and know that last time on the hill, Cistron (today’s runner-up)…went ding-dong with him on the lead and they went a little faster than I did today. Most recently third in the Grade II Palos Verdes Stakes going six furlongs on the main track Jan. 19, Conquest Tsunami, bred by Ted Burnett’s Josham Farms and Yvonne Schwabe and produced from the El Corredor mare Classic Neel, was off as the 7-5 favorite as he returned to turf in a field of nine older horses and paid $4.80, $3.40 and $2.80. A winner of the Grade III Daytona Stakes over the course on Feb. 24 of last year, Conquest Tsunami now has three wins from five tries down the hill. With the winner’s share of $43,620, he now has earnings of $783,031 and an overall mark of 30-9-4-5. 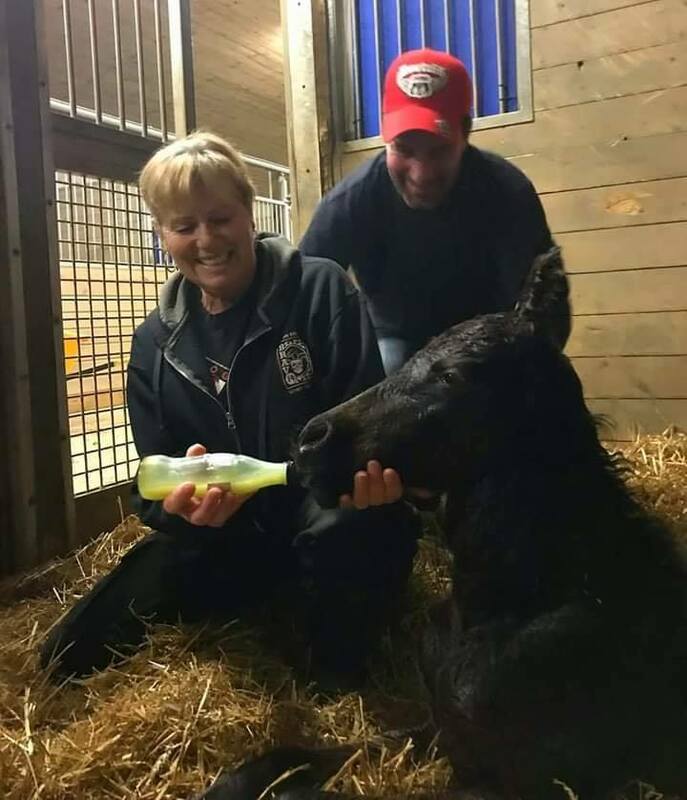 Conquest Tsunami was one of dozens of horses injured in the 2017 San Luis Rey Downs barn fires and at one point, it was thought the now 7-year-old was lost in the blaze. But he was eventually found and he has made a stunning return to racing. He has earnings approaching $800,000. 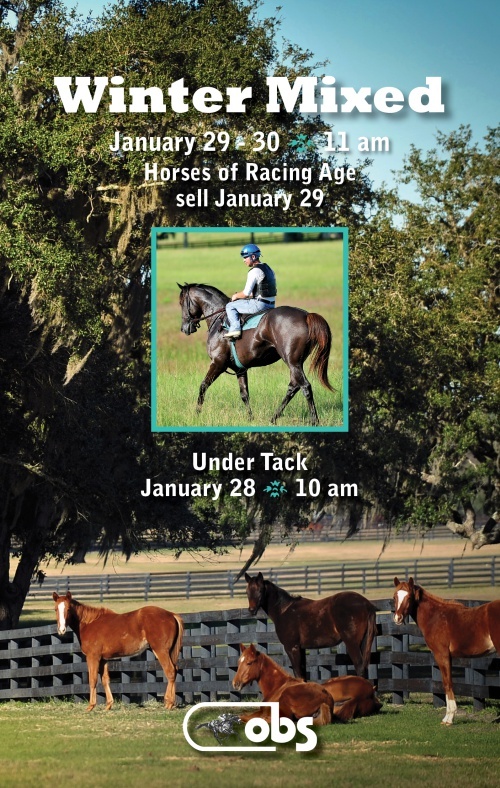 Plenty of Canadians are in Ocala, Fla this week to shop at the Winter Mixed and Horses of Racing Age sale at OBS.